Hi, Guys, I Hope You are enjoying our Free Recharge Tricks & PayTM Cash Offers. We are here With a New PayTM Offer basically a PayTM Feature. PayTM is Opening PayTM postpaid Option of lot’s of users Now. Some Months Ago PayTM offered PayTM postpaid for Some Selected Users. Now It’s Available almost all the Users. 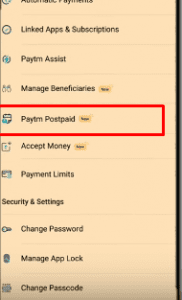 Now You may wish to know what is PayTM Postpaid exactly? PayTM Postpaid is available for some specific users based on the Usage. 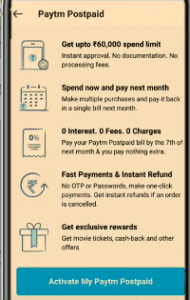 If You are eligible you can check the Banner on Your PayTM App Homepage. If You See the banner that means you are eligible for the PayTM Postpaid. You can Now Activate The PayTm postpaid on your account. Now Click on the banner & Follow the Instruction And activate PayTM Postpaid to your account. Accept all the terms & Conditions. Once You activate the PayTM Postpaid you can See the limit. Now you are ready to use the PayTM Postpaid. Shop Now & Pay later. Shop even at Zero Balance. When you activate PayTM Postpaid. You are ready to use PayTM Postpaid. During the PayMent of PayTM Shopping & Recharge or bill payment. You can See another Option as shown below. You can Select the Option & “Postpaid option” & Pay using it. You Wallet limit will be deducted and Your Payment will be processed. Now You can pay The Postpaid balance later. 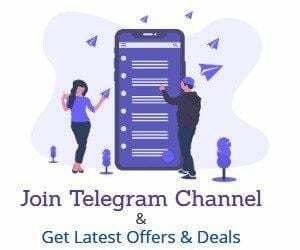 Paying Through PayTM Postpaid is as easy as paying through PayTM Wallet.PayTM Postpaid is not available on Purchase of PayTM Gold & Money Transfers. Select any Product or Recharge & proceed to payment Page. 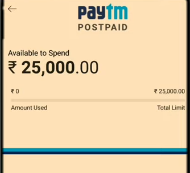 Here You can see PayTM Postpaid Option With Your Limit. if You have available balance in Your PayTM Postpaid. You can Pay using it. Once You Pay Your limit will be Decreased, You can pay it in 1 month 7 days. PayTM Postpaid is available for Free for All of the users. There are no Charges for using this Service. You can Get a Credit Limit Which means You can use the Amount which is Shown to your account. Once You pay from the PayTM Postpaid. You will Get the bill generated on next on 1st of next Month & You have to Pay the amount till 7th of the month. If You don’t pay You will be charged according to the below table. PayTM Postpaid is available for almost all verified customers. If you have not done Your KYC. You wallet limit will be Rs.500-700 and if You have done Your Full KYC with Agent or Adhaar Number You will get Instant Credit of Rs.5000-25000. As you see in the Images. We have Got Credit of Rs.25000 . So Try in Your Full KYC Account. i. Default interest will be charged if the Total Amount Due is not paid by the Payment Due Date. Such default interest will be charged from the Payment Due Date till such time as the outstanding amounts are paid in full. ii. The default rate of interest shall be 3% per month on the Total Amount Due and 36% per annum subject to revision from time to time, depending on factors such as but not limited to, credit history, purchase patterns, payment behavior and month-on book. ii. Late payment charges will be applicable if the Total Amount Due is not paid by the Payment Due Date. PayTM Postpaid is free of Cost if you pay on time. this service is helpful when you have 0 wallet balance. 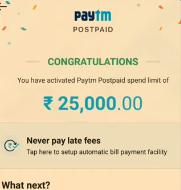 Also, You Can Pay Faster Using PayTM Postpaid so I will recommend activating Postpaid. You Don’t need to upload any document or any Photo ID all You just need to do is Click on Banner & Activate it. What will be charge for 25000 after 1 month..? Bhai mere account me offer nehi de Raha hai Kay Karun?